Before we begin this article, I'd like to ask a quick question. What is the second leading source of debt in the United States? I'm sure that you probably guessed it was student loans. Behind mortgage loan debt, student loan debt is the second leading source of debt in the United States. The average student loan debt for Class of 2017 graduates was $39,400. Not surprisingly, as time goes by, these figures will continue to steadily increase. 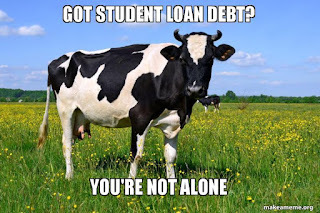 For more information on the extent of the student loan crisis, StudentLoanHero is an excellent source of information. Fortunately, when I graduate next summer in 2019, I will not be among those graduating with student loan debt. I say this not to boast, but to possibly help those that are younger consider their options. Because when you decide to embark upon the path to financial independence, avoiding debt whenever possible is critical to achieving financial independence at a young age. Admittedly, my story does involve one of privilege because although my parents are normal middle class folks, they have helped tremendously as we'll come to find out. Without further delay, let's examine the actions I took (and the fortunate events that transpired) that allowed me to graduate with no student loan debt. For those that didn't know, I attended my local technical college (Mid-State Technical College) to obtain my Associate's degree in Accounting in 2017. Shortly thereafter, I utilized a transfer agreement between MSTC and Lakeland University so that I could transfer ALL 72 of my credits at MSTC to Lakeland. Even better, Lakeland has a Blended option that allows me to choose whether I will attend class on any one of their several campus locations besides their main campus location or if I will attend online. This allows me to actually take advantage of the next step. Since graduating high school 3 years ago, I've continued to live with my parents. With rent around this area realistically costing around $550 a month were I to live on my own, I have saved 3 years of rent which would total around (36 months * $550 a month) $19,800. Given that I currently have a net worth of nearly $10,000, I would currently be in debt to the tune of $10,000 if not for my living arrangement with my parents. That's why living with your parents and attending your local community college or state university is often pivotal to graduating with no debt, provided your parents aren't providing much financial support if you are attending university half way across the country. Secondly, my parents have also allowed me to use one of their cars without having to purchase it. The only requirement is that I pay all expenses associated with it, which is more than fair. Although I have received about $3,000 of the total $40,000 from my parents/grandparents that I will spend on books/tuition to attain my undergrad degree in accounting, my parents have saved me an insane amount of money by allowing me to continue living with them (plus they're not that bad either haha). Because college will probably cost you at least in the mid 5 figures, it is incredibly important that you earn as much as you can before and during college. In my own story, I didn't earn very much before I started college, as I didn't get a part-time job cashiering until my senior year in high school that I held until I graduated college in 2017. In this regard, I could have done much better as many kids get jobs at the age of 15 or 16. I believe that the benefits of the first step also can be utilized in this step because after you obtain your two year degree from your local community college, you become more marketable to employers. I used my degree to obtain a job that pays over $12.00/hr with benefits (which isn't bad for the small mid-western town that I live in). It is this substantial increase in earnings that is also helping to pay for the substantial increase in expenses associated with attending Lakeland University (it is a private non-profit with tuition nearly triple that of the two year college I attended). With my current earnings against my current expenses (tuition, books, living expenses i.e. food, transportation), I am roughly treading water after accounting for the 7% that I contribute to my retirement account through my employer, and their 3% match. So, through all of this, I am still building wealth at a clip of about $2,000 a year. I recognize that I am incredibly privileged and if my story made you a bit nauseous, I can understand that. Obviously, not everyone will be able to take advantage of my second step. I even know of some parents that basically kick their kids out of the "nest" once they graduate high school. I can sort of understand the reasoning, in that it does force your kids to learn to fend for themselves and develop independence. Unfortunately, it is probably one of the primary reasons that kids go into so much student loan debt these days, combined with the fact that it's difficult to even comprehend how much debt $30k or $40k is when you're in your late teens or early twenties, and the consequences of borrowing that kind of money. I've saved almost $20,000 by being able to live with my parents which has made all the difference in being able to graduate with no debt and a roughly $12,000 net worth next summer. How was your experience with college? 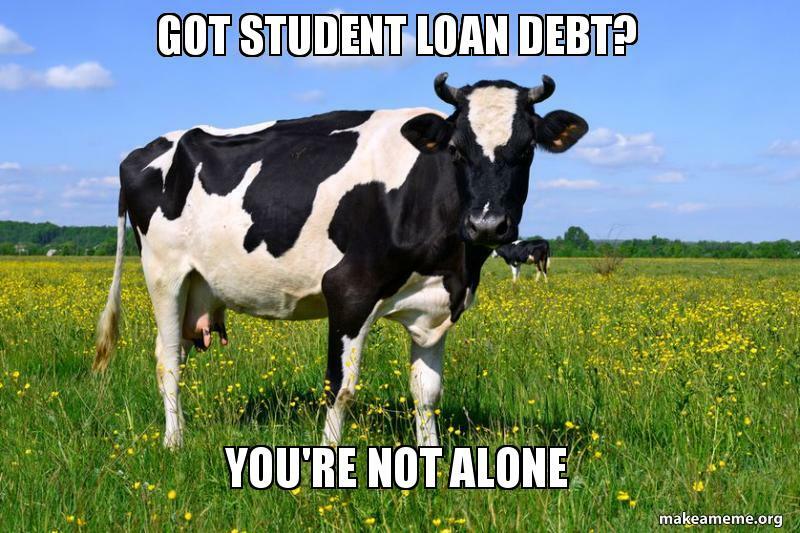 Were you able to avoid student loan debt? Did you enjoy privileges similar to mine? Or did you have to really grind it out to graduate with no debt?